"Saud" redirects here. For the King, see Saud of Saudi Arabia. For eponymous ancestor, see Saud ibn Muhammad ibn Muqrin. For the Pakistani actor, see Saud (actor). For the Romanian village of Săud, see Buntești. 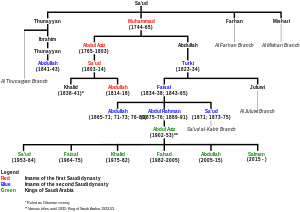 The House of Saud (Arabic: آل سعود‎‎ Āl Saʻūd IPA: [ʔæːl saʕuːd]) is the ruling royal family of Saudi Arabia. The family has thousands of members. It is composed of the descendants of Muhammad bin Saud, founder of the Emirate of Diriyah, known as the First Saudi state (1818–91), and his brothers, though the ruling faction of the family is primarily led by the descendants of Ibn Saud, the modern founder of Saudi Arabia. The family is estimated to comprise 15,000 members, but the majority of the power and wealth is possessed by a group of only about 2,000. The House of Saud has gone through three phases: the Emirate of Diriyah, the First Saudi State (1744–1818), marked by the expansion of Wahhabism; the Emirate of Nejd, the Second Saudi State (1824-1891), marked with continuous infighting; and the Kingdom of Saudi Arabia (1932–present), which wields considerable influence in the Middle East. The family has had conflicts with the Ottoman Empire, the Sharif of Mecca, the Al Rashid family of Ha'il and their vassal houses in Najd, and numerous Islamist groups both inside and outside Saudi Arabia. House of Saud is a translation of Al Saud. The latter is an Arabic dynastic name formed by adding the word Al, meaning "family of" or "House of", to the personal name of an ancestor. In the case of the Al Saud, this is Saud ibn Muhammad ibn Muqrin, the father of the dynasty's 18th century founder, Muhammad bin Saud (Muhammad, son of Saud). Today, the surname "Al Saud" is carried by any descendant of Muhammad bin Saud or his three brothers Farhan, Thunayyan, and Mishari. Al Saud's other family branches are called cadet branches. Members of the cadet branches hold high and influential positions in government though they are not in line of succession to Saudi throne. Many cadet members intermarry within the Al Saud to reestablish their lineage and continue to wield influence in the government. 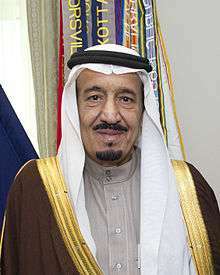 Sons, daughters, patrilineal granddaughters and grandsons of Ibn Saud are referred to by the style "His Royal Highness" (HRH), differing from those belonging to the cadet branches, who are called "His Highness" (HH) and in addition to that a reigning king has the title of Custodian of the Two Holy Mosques. The earliest recorded ancestor of the Al Saud was Mani' ibn Rabiah Al-Muraydi who settled in Diriyah in 1446–1447 with his clan, the Mrudah. Although the Mrudah are believed to be descended from the Rabi'ah tribal confederation, it is unclear whether they trace their ancestry to the Banu Hanifa or the 'Anizza branches of the Rabi'ah. Mani was invited by a relative named Ibn Dir. Ibn Dir was the ruler of a set of villages and estates that make up modern-day Riyadh. Mani's clan had been on a sojourn in east Arabia, near al-Qatif, from an unknown point in time. Ibn Dir handed Mani two estates called al-Mulaybeed and Ghusayba. Mani and his family settled and renamed the region "al-Diriyah", after their benefactor Ibn Dir. The Mrudah became rulers of al-Diriyah, which prospered along the banks of Wadi Hanifa and became an important Najdi settlement. As the clan grew larger, power struggles ensued, with one branch leaving for nearby Dhruma, while another branch (the "Al Watban") left for the town of az-Zubayr in southern Iraq. The Al Migrin became the ruling family among the Mrudah in Diriyah. The name of the clan comes from a certain Shekh Saud ibn Muhammad ibn Muqrin who died in 1725. The First Saudi State, was founded in 1744. This period was marked by conquest of neighboring areas and by religious zeal. At its height, the First Saudi State included most of the territory of modern-day Saudi Arabia, and raids by Al Saud's allies and followers reached into Yemen, Oman, Syria, and Iraq. Islamic Scholars, particularly Muhammad ibn Abdul Wahhab and his descendants, are believed to have played a significant role in Saudi rule during this period. The Saudis and their allies referred to themselves during this period as the Muwahhidun or Ahl al-Tawhid ("the monotheists"). Later they were referred to as the Wahhabis, a group of particularly strict Sunni, named for its founder. Leadership of the Al Saud during the time of their first state passed from father to son without incident. The first imam, Muhammad ibn Saud, was succeeded by his eldest son Abdulaziz in 1765. In 1802, Abdulaziz led ten thousand Wahhabi soldiers into an attack on the Shi'ite holy city of Karbala, in what is now southern Iraq and where Hussein ibn Ali, the grandson of the prophet Muhammad is buried. Led by Abdulaziz, the Wahhabi soldiers killed more than two thousand people, including women and children. The soldiers plundered the city, demolishing the massive golden dome above Hussein's tomb and loaded hundreds of camels with weapons, jewelry, coins and other valuable goods. The attack on Karbala convinced the Ottomans and the Egyptians that the Saudis were a threat to regional peace. Abdulaziz was killed in 1803 by an assassin, believed by some to have been a Shi'ite seeking revenge over the sacking of Karbala the year before. Abdul-Aziz was in turn succeeded by his son, Saud, under whose rule the Saudi state reached its greatest extent. By the time Saud died in 1814, his son and successor Abdullah ibn Saud had to contend with an Ottoman-Egyptian invasion in the Ottoman–Wahhabi War seeking to retake lost Ottoman Empire territory. The mainly Egyptian force succeeded in defeating Abdullah's forces, taking over the Saudi capital of Diriyyah in 1818. Abdullah was taken prisoner and was soon beheaded by the Ottomans in Constantinople, putting an end to the First Saudi State. The Egyptians sent many members of the Al Saud clan and other members of the local nobility as prisoners to Egypt and Constantinople, and razed the Saudi capital Diriyyah. A few years after the fall of Diriyah in 1818, the Saudis were able to re-establish their authority in Najd, establishing the Emirate of Nejd, commonly known as the Second Saudi State, with its capital in Riyadh. Compared to the First Saudi State, the second Saudi period was marked by less territorial expansion (it never reconquered the Hijaz or 'Asir, for example) and less religious zeal, although the Saudi leaders continued to go by the title of imam and still employed Salafi religious scholars. The second state was also marked by severe internal conflicts within the Saudi family, eventually leading to the dynasty's downfall. In all but one instance, succession occurred by assassination or civil war, the exception being the passage of authority from Faisal ibn Turki to his son Abdullah ibn Faisal ibn Turki. After his defeat at Mulayda, Abdul-Rahman ibn Faisal went with his family into exile in the deserts of eastern Arabia among the Al Murra bedouin. Soon afterward, however, he found refuge in Kuwait as a guest of the Kuwaiti emir, Mubarak Al Sabah. In 1902, Abdul-Rahman's son, Ibn Saud, took on the task of restoring Saudi rule in Riyadh. Supported by a few dozen followers and accompanied by some of his brothers and relatives, Abdul Aziz was able to capture Riyadh's Masmak fort and kill the governor appointed there by Ibn Rashid. Abdul Aziz, reported to have been barely 20 at the time, was immediately proclaimed ruler in Riyadh. As the new leader of the House of Saud, Abdul Aziz became commonly known from that time as "Ibn Saud". Ibn Saud spent the next three decades trying to re-establish his family's rule over as much of the Arabian Peninsula as possible, starting with his native Najd. His chief rivals were the Al Rashid clan in Ha'il, the Sharifs of Mecca in the Hijaz, and the Ottoman Turks in al-Hasa. Ibn Saud also had to contend, however, with the descendants of his late uncle Saud ibn Faisal (later known as the "Saud al-Kabir" branch of the family), who posed as the rightful heirs to the throne. Though for a time acknowledging the sovereignty of the Ottoman Sultans and even taking the title of pasha, Ibn Saud allied himself to the British, in opposition to the Ottoman-backed Al Rashid. From 1915 to 1927, Ibn Saud's dominions were a protectorate of the British Empire, pursuant to the 1915 Treaty of Darin. By 1932, Ibn Saud had disposed of all his main rivals and consolidated his rule over much of the Arabian Peninsula. He declared himself king of the Kingdom of Saudi Arabia that year. Previously, he had gone through several titles, starting with "Sultan of Najd" and ending with "King of Hijaz and Najd and their dependencies." Ibn Saud's father, Abdul Rahman retained the honorary title of "imam." In 1937 near Dammam, American surveyors discovered what later proved to be Saudi Arabia's vast oil reserves. Before the discovery of oil, many family members were destitute. Ibn Saud sired dozens of children by his many wives. He had at most only four wives at one time. He divorced and married many times. He made sure to marry into many of the noble clans and tribes within his territory, including the chiefs of the Bani Khalid, Ajman, and Shammar tribes, as well as the Al ash-Sheikh (descendants of Muhammad ibn Abd al-Wahhab). He also arranged for his sons and relatives to enter into similar marriages. He appointed his eldest surviving son, Saud as heir apparent, to be succeeded by the next eldest son, Faisal. The Saudi family became known as the "royal family," and each member, male and female, was accorded the title amir ("prince") or amira ("princess"), respectively. Ibn Saud died in 1953, after having cemented an alliance with the United States in 1945. He is still celebrated officially as the "Founder," and only his direct descendants may take on the title of "his or her Royal Highness." The date of his recapture of Riyadh in 1902 was chosen to mark Saudi Arabia's centennial in 1999 (according to the Islamic lunar calendar). Upon Ibn Saud's death, his son Saud assumed the throne without incident, but his lavish spending led to a power struggle with the new crown prince, Faisal. In 1964, the royal family forced Saud to abdicate in favor of Faisal, aided by an edict from the country's grand mufti. During this period, some of Ibn Saud's younger sons, led by Talal ibn Abdul Aziz defected to Egypt, calling themselves the "Free Princes" and calling for liberalization and reform, but were later induced to return by Faisal. They were fully pardoned but were also barred from any future positions in government. Faisal was assassinated in 1975 by a nephew, Faisal ibn Musaid, who was promptly executed. Another brother, Khalid, assumed the throne. The next prince in line had actually been Prince Muhammad, but he had relinquished his claim to the throne in favor of Khalid, his only full brother. Khalid died of a heart attack in 1982, and was succeeded by Fahd, the eldest of the powerful "Sudairi Seven", so-called because they were all sons of Ibn Saud by his wife Hassa Al Sudairi. Fahd did away with the previous royal title of "his Majesty" and replaced it with the honorific "Custodian of the Two Holy Mosques", in reference to the two Islamic holy sites in Mecca and Medina, in 1986. A stroke in 1995 left Fahd largely incapacitated, and the crown prince, Abdullah, gradually took over most of the king's responsibilities until Fahd's death in August 2005. Abdullah was proclaimed king on the day of Fahd's death and promptly appointed his younger brother, Sultan bin Abdulaziz, the minister of defense and Fahd's "Second Deputy Prime Minister," as the new heir apparent. On 27 March 2009, Abdullah appointed Prince Nayef Interior Minister as his "second deputy prime minister" and Crown Prince on 27 October. Sultan died in October 2011 while Nayef died in Geneva, Switzerland on 15 June 2012. On 23 January 2015, Abdullah died after a prolonged illness, ending his nine-year rule as the King of Saudi Arabia, and Crown Prince Salman bin Abdulaziz Al Saud was declared the new King. The head of the House of Saud is the King of Saudi Arabia who serves as Head of State and monarch of the Kingdom of Saudi Arabia. The King holds almost absolute political power. The King appoints ministers to his cabinet who supervise their respective ministries in his name. The key ministries of Defence, the Interior, and Foreign Affairs are usually held by members of the Saud family, as are most of the thirteen regional governorships. Most portfolios, however, such as Finance, Labor, Information, Planning, Petroleum Affairs and Industry, have traditionally been given to commoners, often with junior Al Saud members serving as their deputies. House of Saud family members also hold many of the Kingdom's critical military and governmental departmental posts. Ultimate power in the Kingdom has always rested upon the Al Saud, though support from the Ulema, the merchant community, and the population at large has been key to the maintenance of the royal family's political status quo. Long-term political and government appointments, such as those of King Abdullah, who was Commander of the National Guard from 1963 to 2010, former Crown prince Sultan bin Abdulaziz, who was Minister of Defence and Aviation from 1962 until his death in 2011, Prince Mutaib Minister of Municipal and Rural Affairs from 1975 to 2009, former Crown Prince Nayef who was the Minister of Interior from 1975 to 2012, and the current King Salman, who was governor of the Riyadh Region from 1963 to 2011, have perpetuated the creation of fiefdoms where senior princes have, often, though not exclusively, co-mingled their personal wealth with that of their respective domains. They have often appointed their own sons to senior positions within their own fiefdom. Examples of these include Prince Mutaib bin Abdullah as assistant commander in the National Guard until 2010; Prince Khalid bin Sultan as assistant minister of defence until 2013; Prince Mansour bin Mutaib as assistant minister for Municipal and Rural Affairs until he replaced his father in 2009; and Prince Mohammed bin Nayef as assistant minister in the Interior Ministry. In cases, where portfolios have notably substantial budgets, appointments of younger, often full, brothers have been necessary, as deputies or vice ministers, ostensibly to share the wealth and the burdens of responsibility, of each fiefdom. Examples of these include Prince Abdul Rahman who was vice minister of defence and aviation under Prince Sultan; Prince Badr, deputy to King Abdullah in the National Guard; Prince Sattam, who was Deputy Riyadh Governor during King Salman's term; and Prince Ahmed, who held the deputy minister's portfolio under Prince Nayef's interior ministry. Unlike Western royal families, the Saudi Monarchy has not had a clearly defined order of succession. Historically, upon becoming King, the monarch has designated an heir apparent to the throne who serves as Crown Prince of the Kingdom. Upon the King's death the Crown Prince becomes King, and during the King's incapacitation the Crown Prince, likewise, assumes power as regent. Though other members of the Al Saud hold political positions in the Saudi government, technically it is only the King and Crown Prince who legally constitute the political institutions. Succession has been from brother-to-brother since the death of the Founder of modern Saudi Arabia. Ibn Saud was succeeded by his son Saud. Saud was succeeded by his brother Faisal. Faisal was succeeded by his brother Khalid who, in turn, was succeeded by his brother Fahd. Fahd, as before, was succeeded by his brother Abdullah and Abdullah succeeded by his brother Salman, the current King. Salman appointed his half-brother Muqrin as Crown Prince in January 2015 and removed him in April 2015. Even Abdulaziz's youngest son was to turn 70 in 2015. Abdulaziz, in 1920, had said that the further succession would be from brother-to-brother not from father-to-son. King Salman ended the brother-to-brother succession and appointed his 56-year-old nephew Muhammad bin Nayef as Crown Prince in April 2015. He appointed his young son Mohammad, who was believed to be 30 years old at the time, as Deputy Crown Prince, thus making the next succession from cousin-to-brother, as Mohammad is the cousin of Crown Prince Muhammad. In June 2015 Forbes listed Prince Al-Waleed bin Talal as the 34th-richest man in the world, with an estimated net worth of US$28 billion. Prince Al-Waleed had a net worth of $20.4 billion in 2014. The net worth of the entire royal family has been estimated at over $1.4 trillion which makes them one of the wealthiest families in the world. Due to its authoritarian and theocratic rule, the House of Saud has attracted much criticism during its rule of Saudi Arabia. There have been numerous incidents, from the Wahhabi Ikhwan militia uprising during the reign of Ibn Saud to various coup attempts by the different branches of the Kingdom's military. On 20 November 1979, the Grand Mosque seizure saw the al-Masjid al-Haram in Mecca violently seized by a group of 500 heavily armed and provisioned Saudi dissidents led by Juhayman al-Otaybi and Abdullah al-Qahtani, consisting mostly of members of the former Ikhwan militia of Otaibah but also of other peninsular Arabs and a few Egyptians enrolled in Islamic studies at the Islamic University of Madinah. The Saudi royal family turned to the Ulema who duly issued a fatwa permitting the storming of the holy sanctuary by Saudi forces, aided by French and Pakistani special ops units, although officially, non-Muslims may not enter the city of Mecca. According to Lawrence Wright, the GIGN commandos did convert to Islam. 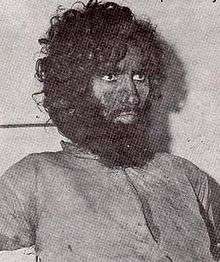 All surviving males, including Al-Otaybi himself, were beheaded publicly in four cities of Saudi Arabia. Bandar bin Abdulaziz (born 1923) – Eldest surviving son, who is reportedly still alive. Mishaal bin Abdulaziz (born 1926 - died 29 February 2016) – Minister of Defense from 1951-1953; Governor of Mecca from 1963 to 1971, and current chairman of the Allegiance Council since 2007. Abdul Rahman bin Abdulaziz (born 1931) – Deputy defense minister from 1978 to 2011. Mutaib bin Abdulaziz (born 1931) – Minister of municipal and rural affairs from 1975 to 2009. He has a long-standing family alliance with King Abdullah. Talal bin Abdulaziz (born 1931) – Held the ministerial portfolios for finance and communications in the 1950s. Major businessman, special envoy to UNESCO and chairman of AGFUND. He had a leading role in the Free Princes movement of 1958 which sought government reform. He resigned in 2011 from the Allegiance Council. Abdul llah bin Abdulaziz (born 1939) – Former governor of Al Jawf Province. He was special advisor to King Abdullah from 2008 to 2015. Mamdouh bin Abdulaziz (born 1940) – Former governor of Tabuk region who was removed from the post by King Fahd for insubordination. Later he was made director of Saudi Center of Strategic Studies. Ahmed bin Abdulaziz (born 1942) – Deputy minister of interior from 1975 to 2012; minister of interior from June 2012 to 5 November 2012. Muqrin bin Abdulaziz (born 1945) – Director general of the General Intelligence Directorate from 2005 to 2012; former governor of Ha'il and Madinah provinces. He was appointed second deputy prime minister on 1 February 2013 and he was made crown prince on 23 January 2015 when his half-brother Salman became king. On 28 April 2015 Muqrin was granted resignation based on his request to start the next generation of the royals. Due to practice of polygamy and easy divorce (on the male side), as of 2016, King Abdulaziz has close to a thousand grandsons, some of whom are notable. ↑ "The House of Al Saud - A View of the Modern Saudi Dynasty". 18 September 2015. ↑ Meet the world’s other 25 royal families The Washington Post. 22 July 2013. ↑ "HRH Princess Basma bint Saud bin Abdulaziz Al Saud". BBC. 28 July 2011. Retrieved 7 April 2013. ↑ Milmo Cahal (3 January 2012). "The Acton princess leading the fight for Saudi freedom". The Independent. Retrieved 3 January 2012. ↑ Wynbrandt, James; Gerges Fawaz A. (2010). A Brief History of Saudi Arabia. p. xvii. ISBN 978-0-8160-7876-9. 1 2 Amos, Deborah (1991). "Sheikh to Chic". Mother Jones. p. 28. Retrieved 12 July 2016. 1 2 Stig Stenslie (21 August 2012). Regime Stability in Saudi Arabia: The Challenge of Succession. Routledge. p. 53. ISBN 978-1-136-51157-8. ↑ "History of the Kingdom". Ministry of Foreign Affairs. Retrieved 20 March 2015. ↑ "Al Saud Family Saudi Arabia History". Arab Royal Family. Retrieved 20 March 2015. ↑ G. Rentz (2007). "al- Diriyya (or al-Dariyya)". In P. Bearman; Th. Bianquis; C.E. Bosworth; E. van Donzel; W.P. Heinrichs. Encyclopaedia of Islam. Brill. Retrieved 8 September 2007. ↑ H. St. John Philby (1955). Saudi Arabia. London: Ernest Benn. p. 8. ↑ John Pike. "King Abdul Aziz Bin Abdul Rahman Al-Saud". Global Security. Retrieved 20 March 2015. 1 2 3 Mark Weston (2008). Prophets and princes: Saudi Arabia from Muhammad to the present. Hoboken, N.J.: Wiley. p. 101. ISBN 0470182571. ↑ Wayne H. Bowen (2008). The history of Saudi Arabia (1. publ. ed.). Westport, Conn.: Greenwood Press. p. 73. ISBN 0313340129. ↑ Abdullah Mohammad Sindi (16 January 2004). "Britain and the Rise of Islam and the House of Saud". Kana'an Bulletin. IV (361): 7–8. ↑ "Saudi Arabia names Prince Nayef as heir to throne". BBC. 27 October 2011. Retrieved 28 October 2011. 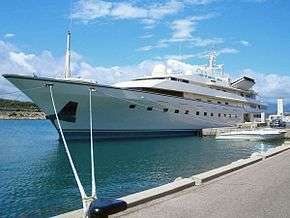 ↑ "The World's Billionaires". Forbes. Retrieved 2 July 2015. ↑ "Meet The Richest People In The Middle East". Forbes. 24 March 2014. ↑ J.A. Kechichican (1990). "Islamic Revivalism and Change in Saudi Arabia: Juhayman al-'Utaybi's 'Letters to the Saudi People'". The Muslim World. 50: 1–16. ↑ Joseph Kostiner (8 July 1997). "State, Islam and Opposition in Saudi Arabia: The Post Desert-Storm Phase". The Middle East Review of International Affairs (MERIA). 1 (2). Retrieved 9 November 2012. ↑ Yaroslav Trofimov (22 September 2007). "Did 'Siege of Mecca' Give Birth to Al-Qaida?" (Interview). Interview with Jacki Lyden. NPR (National Public Radio). ↑ Wright Lawrence (2006). The Looming Tower: Al-Qaeda and the Road to 9/11 (1st ed.). Alfred A. Knopf (US). p. 110. ISBN 978-0141029351. Retrieved 25 January 2014. ↑ "Mecca". Global Security. 9 July 2011. Retrieved 29 December 2006. ↑ "Timeline Saudi Arabia". Retrieved 25 June 2012. ↑ Turki ibn Abdallah ruled various parts of the area between 1819 and 1824. The Second Saudi State was officially founded in 1824. ↑ Abdul-Aziz ruled various parts of the area between 1902 and 1932. The Kingdom was officially founded in 1932. David Fromkin, A Peace to end all peace, Holt, 1989, ISBN 978-0-8050-8809-0. Supplements the foregoing material with a history of the dealings between the House of Saud and the British during and just after World War I. "Saudi Royal Family Directory". Datarabia. "Saudi Royal Family Website". Royal Families of the World.